Endangered scalloped hammerhead sharks (Image Credit: Supplied). THE discovery of illegal shark finning in the Great Barrier Reef shows why independent observers need to be on boats to stop this activity, Australian Marine Conservation Society (AMCS) and Humane Society International (HSI) says. A skipper and deckhand were fined $7000 after Queensland Government staff raided their boat and found 31 shark fins on board at the port in Cairns. Shark finning – the practice of live finning and dumping of sharks at sea – is illegal in Australian waters. However, under Queensland law, sharks can still be cut up and processed at sea providing their separated fins are also kept alongside their trunk or fillets. Queensland’s current shark fin laws create a loophole that allows “high grading”, where high value fins and meat can be retained, but are not necessarily from the same shark, which leads to dumping of unwanted sharks. AMCS and HSI support the Queensland Government’s Sustainable Fisheries Strategy 2017-2027³ and are actively engaged in the reform process. The Queensland Government is currently failing to meet its objectives and both AMCS and HSI demand that the Queensland Government immediately implement an observer program and mandate that all sharks be brought back to land with their fins attached. 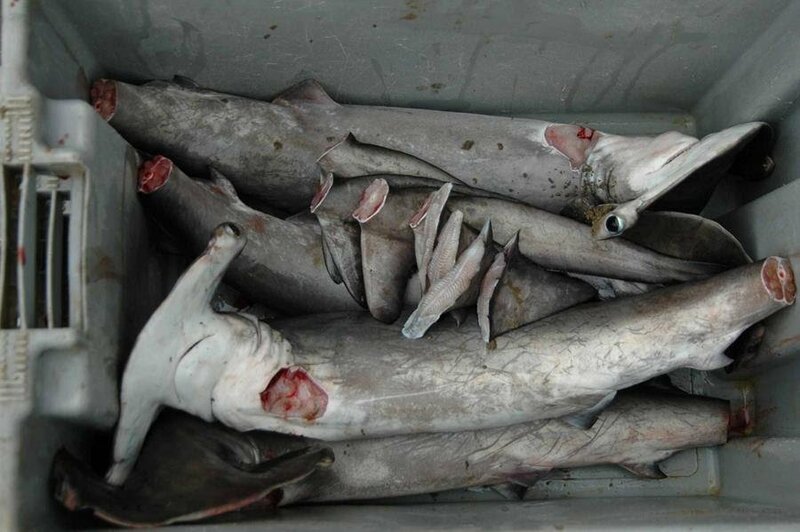 Finned hammerheads in bin (Photo Credit: Australian Marine Conservation Society). 1. In 2018, the Federal Government passed an amendment to the EPBC allowing for the scalloped hammerhead to be fished from the Great Barrier Reef Marine Park (GBRMP). Under the GBRMP legislation, any species listed in the EPBC Act is fully protected, irrespective of its EPBC status/category. Currently the scalloped hammerhead qualifies for endangered status in the EPBC Act but is listed as Conservation Dependant, meaning that it can be fished providing certain conditions are followed – fins naturally attached being one of them. 2. The Queensland-managed East Coast Inshore Fin Fish Fishery has recently been accredited with a Wildlife Trade Operation (WTO) permit under the federal Environment Protection and Biodiversity Conservation Act. The WTO allows the fishery to continue exporting product. The federal Environment Minister, Melissa Price, can attach conditions to the accreditation. RESULTS: Tax cuts at the expense of aid budget growth?